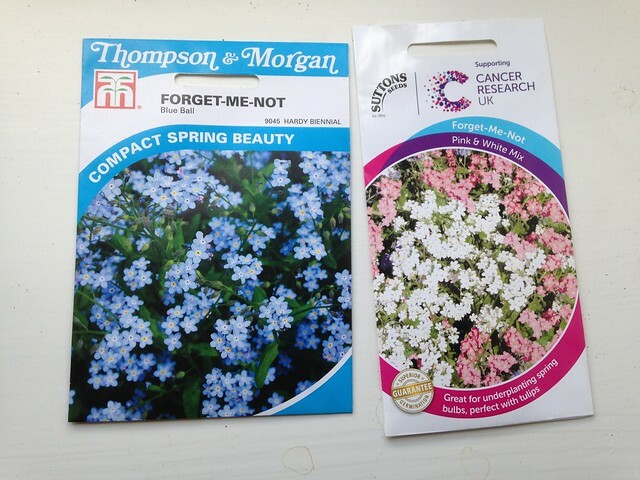 …at quite the wrong moment to sow them. I had to get two different packets to get the full spread of colours! For some reason the wild ones haven’t made themselves at home in the garden. 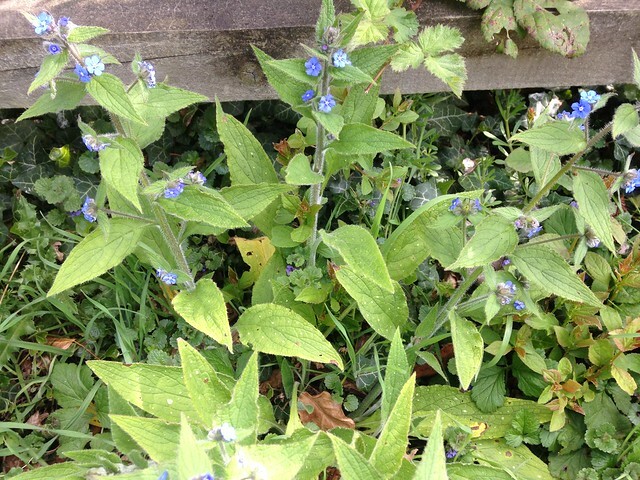 This one is, I think, Green Alkanet, which has similar flowers to the forget-me-not, but more blue. It has very different leaves (and is a larger plant). It can stay in the hedgerow. 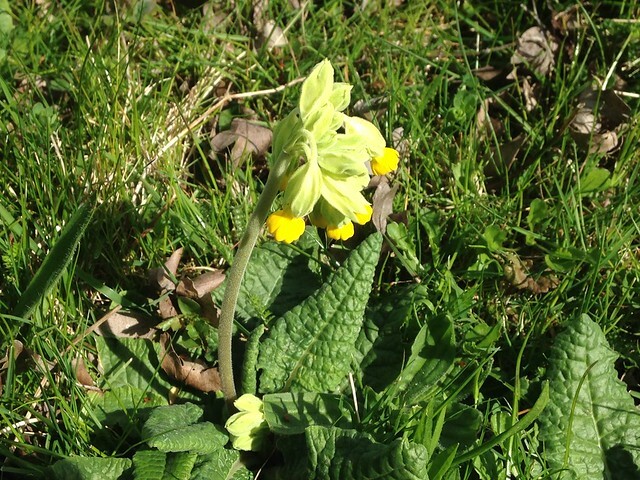 And the cowslips are out. I have one or two plants in containers, which I rescued from the old ‘lawn’ before we started building the garden. I need to find them a permanent home! Save 20% on container plants at SarahRaven.com this week! 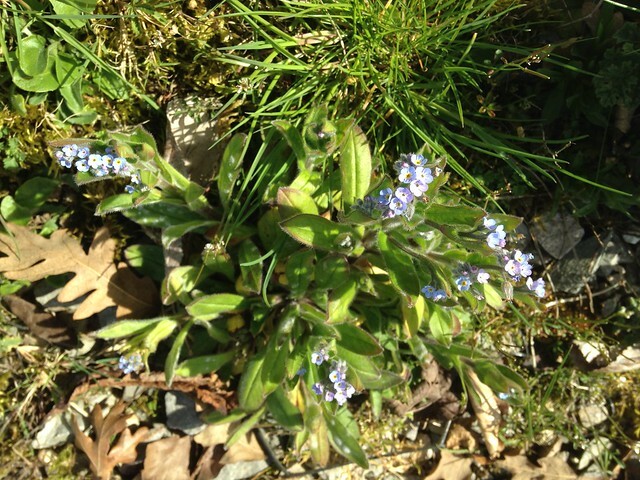 I had no idea that Forget-me-nots have edible petals. If so, there’s a veritable feast waiting up at the allotments, they’ve spread everywhere. I have a small clump that a neighbour gave me but I’m keeping an eye on them to make sure they don’t spread too far. I only found out myself last year! But you don’t have to take my word for it, I have some sources confirming they are edible: Eat the Weeds and Edible Wild Food. More of a nibble than a feast, though, I would imagine!